Hot Pink And Gray Sandals Resting On Wooden Beach Bench. Conceptual Image Of Fun In The Summertime Sunshine. Lizenzfreie Fotos, Bilder Und Stock Fotografie. Image 101122581. 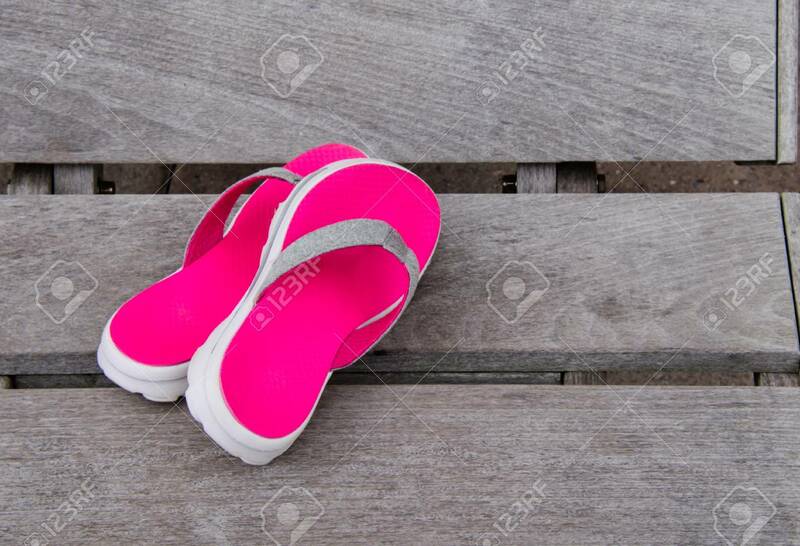 Standard-Bild - Hot pink and gray sandals resting on wooden beach bench. Conceptual image of fun in the summertime sunshine. Hot pink and gray sandals resting on wooden beach bench. Conceptual image of fun in the summertime sunshine.